Best thing about our membership, it's FREE! Complete the below form to join The Robin Hood Hotel Membership and receive drinks specials, birthday discount and much more! Once you have completed the form simply visit us and collect your membership card. existing member? If so, who? 1 # What are your favourite sports? 2 # What are your favourite types of beverages? 3 # What day of the week do you usually go out for drinks? 4 # What day of the week do you usually go out for lunch or dinner? 5 # What industry are you in? 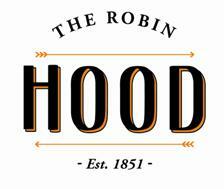 6 # Would you like to be contacted about upcoming wine lunches at The Robin Hood and other special events? The Robin Hood Hotel does not disclose any personal contact information provided on this form for use by a third party, in compliance with the National Privacy Act and relevant Anti Spam Act.